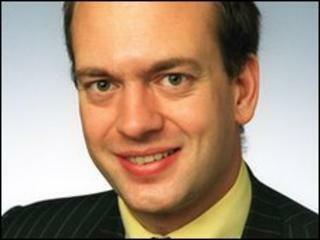 A Kent MP has apologised for being drunk in the House of Commons and missing a vote on the Budget. Mark Reckless said he did not feel it was appropriate to take part in the vote in the early hours of Wednesday because of the amount he had drunk. The Conservative MP for Rochester and Strood told BBC Radio Kent: "I made a mistake. I'm really sorry about it." Labour MP Hazel Blears said she returned to the library after it became "a bit lively" on the terrace. Mr Reckless is one of 227 new MPs who started work at Westminster following the general election on 6 May. He said: "I'm terribly, terribly embarrassed. I apologise unreservedly and I don't plan to drink again at Westminster." Mr Reckless denied claims that he fell asleep on the terrace or got a taxi back to his constituency. He added: "I remember someone asking me to vote and not thinking it was appropriate, given how I was at the time. "If I was in the sort of situation generally where I thought I was drunk I tend to go home. "Westminster is a very special situation and all I can say... is given this very embarrassing experience I don't intend to drink at Westminster again." Mr Reckless was having drinks on the night of the second reading of the Finance Bill, which lasted until 0230 BST on Wednesday. Commons leader Sir George Young described it as the first "seriously late" sitting of the new parliamentary term. Hazel Blears told Sky News on Sunday: "On Tuesday night, it was a hot night, and we all knew we were going to be there until two o'clock so I went out for a drink on the terrace. "I was there until about half past 10. Then I thought this is getting a bit lively so I went back in the library and did a bit more correspondence and then I popped out and had a drink somewhere else with my friends." She added: "I think the lesson is [that] there's a lot of new members in the House. He said, Mr Reckless, he said it was a bit like a lock-in so maybe he does that in his pub. "But I think he's probably learnt his lesson."